This is easy to make and so yummy to eat. 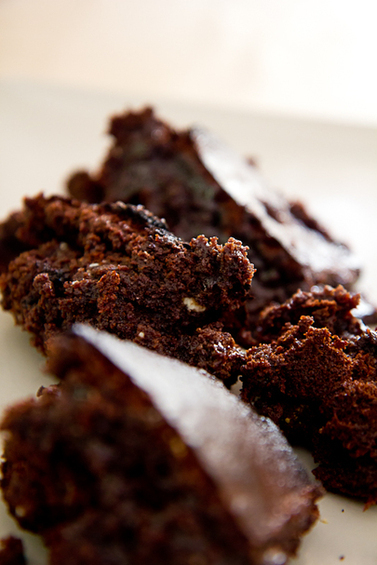 The brownies have a very gooey, fudge like texture to them. This is due to the use of almond butter. I sometimes use a mix of almond and cashew nut butter. Both butters are easy to make if you have a food processor and a lot cheaper than buying it in a jar from your health store. 100 g of dark chocolate (min 70% cocoa solids), melted. 1.Preheat the oven to 160C/325 F.
2.Blend the almond butter, eggs, honey, baking soda, salt and vanilla. 3.Add the cocoa powder and melted chocolate and mix thoroughly. 4.Place the gooey goodness into a baking dish (I use a square pyrex) and spread the mixture flat but evenly distributed. 5.Bake for 30-40 mins. Do not let it get too dark. A toothpick in the middle should come out clean. 6.Enjoy….lovely warm and delicious cold. OMG – no flour brownies. I will have to make these! Mmm I’ve been meaning to try flourless brownies. These look delicious and moist! 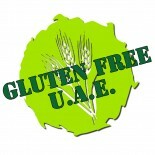 This entry was posted on 06/01/2012 by glutenfreeuae in Baking, Recipes and tagged brownie, chocolate, gluten free, glutenfree.